10.27.10 Potentially toxic levels of substance found in infant over-the-counter remedy for teething pain. The Federal Drug Administration issued a warning this week prompting the recall of over-the-counter Hyland's Teething Tablets after receiving reports of possible belladonna poisoning, CBS News reports. The FDA urges parents to stop using and dispose of this product immediately. Hyland's tablets were found to contain "varying amounts" of belladonna after the manufacturing facility was inspected, CBS reports. The tablets are a homeopathic remedy intended to provide temporary relief of teething symptoms in children. According to the FDA and the company, the tablets are supposed to contain small amounts of belladonna, which comes from a poisonous plant known as deadly nightshade. Large doses of belladonna can cause serious harm in children, experts say. The FDA says it has received reports of "serious adverse events in children taking this product that are consistent with belladonna toxicity." Possible symptoms of belladonna poisoning include difficulty or slowed breathing, constipation and skin flushing. Visit the Hyland's website or call 877-496-5044 to contact the company for a refund or replacement of the recalled product. 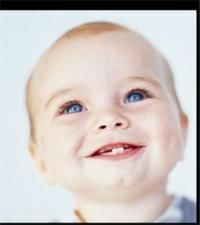 Parents need to remember that even gummy grins need care to help prevent decay. Here's what to expect as your baby's chompers begin to sprout, plus some of our favorite sore-gum soothers.